It is unlawful for employers to discriminate against employees who are pregnant or plan on becoming pregnant. If you are pregnant or have plans to become pregnant in the future and your employer discriminates against you for that reason, you have the right to sue your boss because they discriminated against you for being pregnant, and collect compensation for the damages incurred by your employer’s unlawful action. Filing a discriminatory act of any kind requires an intricate process that can be rather confusing – endless paperwork, deadlines to meet, and necessary chronological steps that must be taken to properly file a claim against your employer. This is why you need a pregnancy discrimination lawyer in Fresno, CA. Our attorneys are well-versed in the law and help the fight against discrimination against pregnant women. Contact the California Labor Law Employment Attorneys Group, your pregnancy discrimination law firm, today to see what we can do for you and your rights. Can you sue your boss for pregnancy discrimination? Where can I find a Fresno workplace pregnancy discrimination lawyer? Who is the best Fresno attorney with experience in pregnancy discrimination cases? Where can I find an experienced lawyer who takes employee pregnancy discrimination cases? Can I sue my employer for unlawful discrimination if I’m pregnant? Can I sue me employer for discriminating against me because I was pregnant? The short answer is, yes, you can sue your employer for discrimination; and, Yes, we can sue your employer and give you the legal representation you deserve. Contact our LA law firm today to see what we can do for you. Under the Pregnancy Discrimination Act (PDA), pregnancy discrimination occurs when a woman is treated unfairly or unfavorably because of pregnancy, childbirth, or a medical condition that was related to her pregnancy. The woman can be an employee or even applicant. It is unlawful not to hire a woman simply because of her pregnancy status. Employers cannot make any employment-based decisions on a woman employee because of her pregnancy. Employment-based decisions are resolutions that affect an employee’s employment status; normally, these decisions have a negative consequence and thus put pregnant women at a disadvantage. 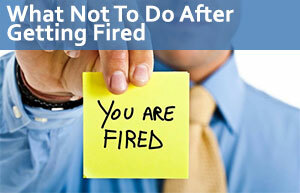 These involve: hiring, firing, pay, job assignments, promotions, layoffs, training, and benefits. A pregnant woman applies for a job that she is qualified for, but the employer is afraid that if he hires her, she will require immediate time off and will need to find a temporary replacement. The employer then decides not to hire her because of her pregnancy and hires a less-qualified individual, or someone who does not belong to a protected class. This is against the law. A woman is an exemplary worker and always finishes her tasks and assignments on time and correctly. An opening presents itself, and the woman wants the promotion; she is the most qualified and should get the job. But she plans on becoming pregnant within the year. Her boss, knowing this, does not give her the promotion because he believes that the pregnancy and child-rearing will get in the way of her job. This is unlawful. If you have experienced circumstances close to this, then you need to contact our law firm to see what we can do for you. Our law firm can get you the compensation you deserve for the damages your employer caused including lost wages, lost benefits, emotional pain and suffering, and even punitive damages. All discrimination claims must go through a process before any lawsuit can be filed against your employer. In order to sue your employer, you must first file a claim with a government agency who is in charge of dealing with the initial allegations of employer discrimination. There are two available to everyone in the U.S.: they are the Equal Employment Opportunity Commission (EEOC) and the Department of Fair and Equal Housing (DFEH). The two agencies are the federal and state agencies, respectively. While they are two separate entities, they work in tandem and often help protect the employee’s rights to their full potential. The extent that these two can help depends on the state in which the discrimination took place. Before you sue your employer, you must first file a claim with one of these two agencies. When you file your charge, an identical copy will be created and sent to the other agency. For example, if you file your claim with the EEOC, the EEOC staff will create a duplicate copy of your charge and send it to the DFEH so that both government employee agencies have a copy of your claim. This is known as dual-filing and serves to protect your rights as an employee. It also serves to avoid any duplicate charges. The primary reason, however, is to protect your rights to their fullest. For example, the state in which you live may not protect protected classes, and so, under your state’s laws, you may not be protected. But if federal law does offer protections, then you will be protected despite your state’s lack of employee rights. In the state of California, employees are protected under all federal laws and even more. Pregnancy discrimination is both unlawful at both the federal and state level, and so both agencies will defend your rights as an employee. Most crimes have a time limit in which you need to file your lawsuit for it to be considered valid; think of it as an expiration date. This expiration date is known as the “statute of limitations.” The statute of limitations for employee discrimination cases is 180 calendar days from the day your employer discriminated against you. If your employer’s discrimination is ongoing, then you have 180 days from the last day the discrimination occurred. If, however, the state in which you live prohibits discrimination on the same basis, then the deadline to file your charge against your employer for discrimination is extended to 300 calendar days. It is against federal law to discriminate against pregnant women, and in the state of California it, too, is unlawful to discriminate against pregnant employees (or employees who plan on becoming pregnant) and so the statute of limitations to file a lawsuit against your employer is extended to 300 calendar days from the last day they discriminated against you. In Person – Each office has its own policy for in-person submissions. Every office has appointments which you can schedule online. If you plan on doing an impromptu walk-in, be sure to check your local office’s policy on walk-ins. At the office, they will have you fill out paperwork. This is when it is handy to have a lawyer by your side. Our attorneys will help you fill out the documents to perfection so that the investigation leads to a positive result. Without an attorney, you could miss important information that could have helped your case. We at the California Labor Law Employment Attorneys Group are here for you, the client. We offer free legal consultation and the zero-fee guarantee. Free consultation gives you the chance to sit down with one of our attorneys and tell them about the facts of your case. They will listen to you and give you their initial thoughts and opinions. This comes to you at no financial obligation. The zero-fee guarantee means that you will not pay for our services until we win your case and get you the compensation you deserve. If we cannot prove your case, then you will not pay us. Simple as that. Contact our LA law firm today to receive the legal representation you deserve.